South Korea's Kumho Holdings, the parent company of Kumho Asiana Group, has concluded a deal with China’s HNA Group under which the latter will be investing 160 billion won (US$139.8 million) in Kumho Asiana Group. The proceeds of the sale will be used to refinance maturing debt and for operational purposes. “The investment is part of the efforts to bring about a strategic synergy between Kumho Asiana Group and HNA Group," Kumho Holdings said in a statement. The two groups last year agreed to cooperate in other industries including hotels, resort development, aircraft ground handling, aircraft MRO (maintenance, repair and overhaul), and catering. As part of the two companies’ first cooperative project, Asiana Airlines and Gate Gourmet Switzerland GmbH, a subsidiary of HNA Group, founded a joint venture “Gate Gourmet Korea” for in-flight meal business through a joint investment at the end of last year. HNA Group is the largest shareholder of China’s fourth-largest airline Hainan Airlines. It also owns world’s largest aircraft ground handling business Swissport, global catering business Gate Gourmet Swiss, and world’s third-largest aircraft maintenance business, SR Technics and is a majority shareholder in the Hilton Hotel Group. 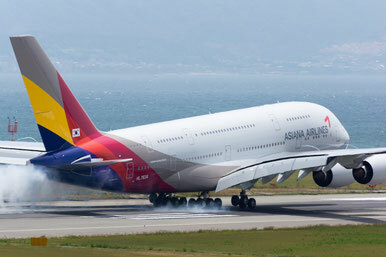 Asiana has been struggling financially in recent years, and is trying to improve its performance through a restructuring programme and by selling stakes in businesses such as a bus company and real estate ventures. Apart from Hainan Airlines, HNA owns several other airlines in China and has been progressively buying stakes in other carriers and aviation-related businesses in the Asia-Pacific region and beyond. Only recently, it added Hahn Airport to its empire after concluding a deal with former majority stakeholder German Rhineland-Palatinate state (CargoForwarder Global reported).